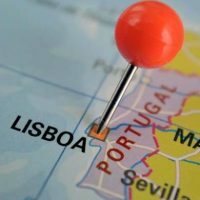 The Ministry of Foreign Affairs has announced that “2018 was the best year in terms of attracting direct foreign investment in Portugal since AICEP was set up in 2002”. Foreign Minister Augusto Santos Silva said the “results of Portuguese diplomacy in 2018 were very vast and significant, from whichever angle they are viewed”. “If we look at other very important areas of our foreign policy, particularly from the investment attraction point of view, then 2018 was the most fertile year in terms of direct foreign investment attraction in Portugal since the founding of AICEP (Agency for Foreign Trade and Investment).